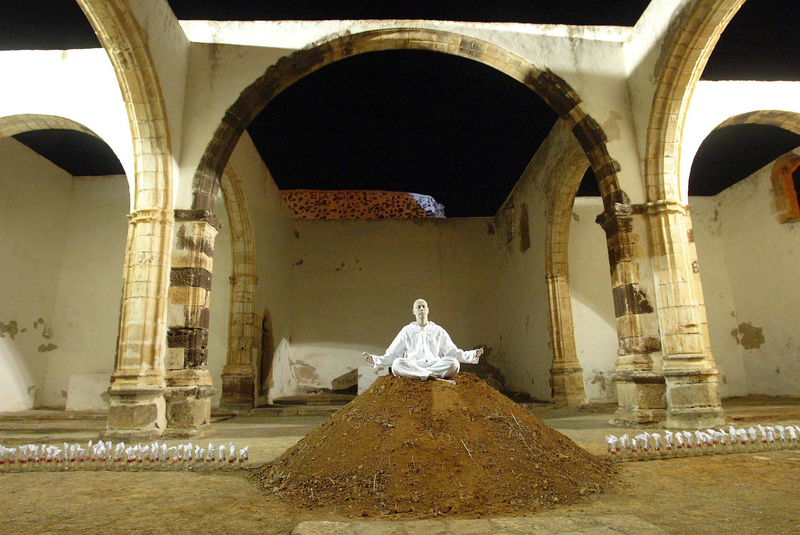 This performance was commissioned for the First Canary Islands Biennale (22 Nov 2006 – 10 Feb 2007) curated by Antonio Zaya. 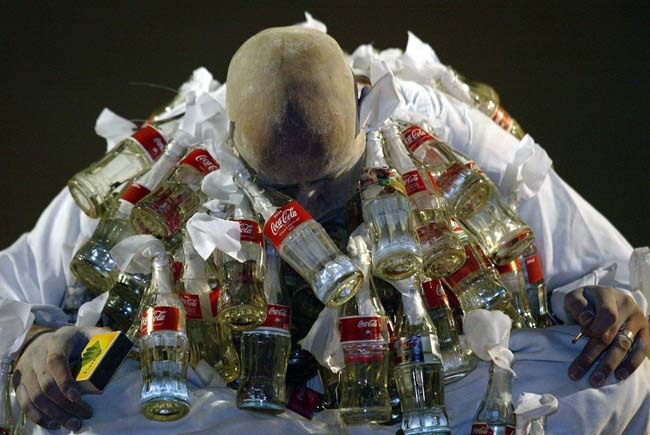 During the course of two hours an assistant loaded 180 fully functional Molotov Cocktails on the artist’s body, whilst the artist held a match in one hand and in the other, the matchbox from which it originated. 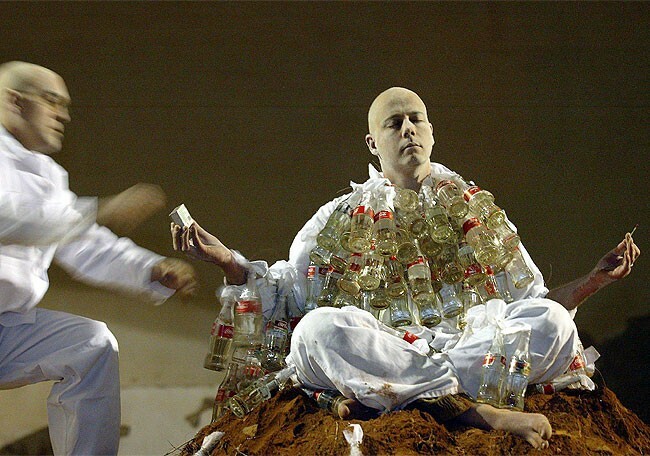 Near the end of the performance the artist was almost completely stationary, with the weight of the bombs forcing his body into a slow change of pose whilst simultaneously transforming its visual form and amplifying its potential for violent action.